Are you caring for an elderly parent? Do you find that your parent may need more care than you can provide right now? Or, do your parents live in a different city, but they have shared they have increased difficulty with their activities of daily living. As an adult child this can be a very difficult conversation to have with your aging parents. However, it is a conversation we need to plan for as soon as we can. 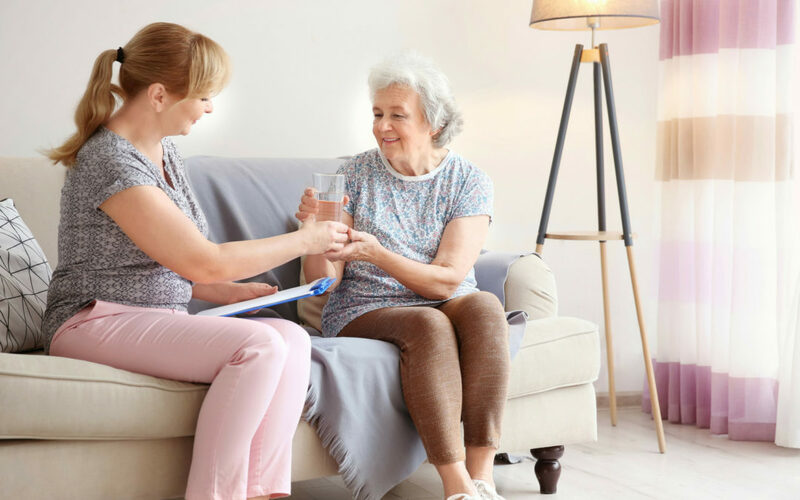 Research tells us that the majority of Older Americans, or seniors over the age of 60 years old, will need some form of long-term care assistance during their lifetime. How do you start to plan, especially if your aging parent has reached the point where it may not be safe for him or her to live alone? In this instance, you most likely need to consider a long-term care facility in the possible future. We work with families each day who are seeking to find supportive, alternative living situations. When you are trying to find the perfect fit for you as well as your parent you need to determine your priorities, do your research, and ask questions. Let us share several of the tips we give our clients who are seeking this same assistance. Before visiting a long-term care facility in person, be sure to do your advance research online. Make a list of facilities in your desired location that, on paper, check off all the qualifications you require for your parent. If the facility can not provide what you need you do not want to spend your valuable time visiting it. Be sure to also look at reviews wherever you can find them, including Google and Facebook. Visit the long-term care facility in person. Once you’ve created a list of locations you’ve found online that meet your requirements, take time to visit each one in person. Being there in person allows you to use all of your senses and your good judgment to determine if it would be a good fit for your parent. There is no substitute for this visit. You need to personally assess the premises including the cleanliness of the facility and the attentiveness of the staff. You also want to ask to see a room, attend an activity, and interact with the residents on your visit. Ask the right questions for you. When you speak with staff and representatives at the nursing home, be sure to ask the right questions for your parent’s care in order to learn more about the facility. For example, is there a specialist that treats your parent’s condition? How regularly does he or she visit, if the specialist is not onsite? How do the staff deal with bedsores? How often are the residents fed? Is there transportation for the residents to and from doctor appointments? What is the security like and how is it enforced? Speak with the family members of current residents. The family members of current residents are some of the best people to speak with about the pros and cons of the long-term care facility. Ask them how well their loved one is taken care of, the good and bad qualities of the staff and their overall experience with the facility thus far. Investigate the payment options early. Make sure you are able to afford the long-term care facility you are interested in. Does it work with public benefits programs such as Medicaid or VA Pension? Do they accept long-term care insurance if you have it? Or will you need to pay for everything out of pocket? Do not only ask about the rent but the incidentals as well. You do not want to be surprised by your first months bill, especially when your parent has already moved in. We know this article may raise more questions than it answers. Do not hesitate to contact us with your questions on this or any other long-term care planning issue. We are here to help you and your family navigate this challenging time.